Louis XIV – History… the interesting bits! Louis XIV’s story has all the ingredients of a Dumas classic: legendary beginnings, beguiling women, court intrigue, a mysterious prisoner in an iron mask, lavish court entertainments, the scandal of a mistress who was immersed in the dark arts, and a central character who is handsome and romantic, but with a frighteningly dark side to his character. Louis believed himself to be semidivine. His self-identification as the Sun King, which was reflected in iconography of the sun god, Apollo, influenced every aspect of Louis’s life: his political philosophy, his wars, and his relationships with courtiers and subjects. As a military strategist, Louis’s capacity was debatable, but he was an astute politician who led his country to the heights of sophistication and power – and then had the misfortune to live long enough to see it all crumble away. As the sun began to set upon this most glorious of reigns, it brought a gathering darkness filled with the anguish of dead heirs, threatened borders, and a populace that was dangerously dependent upon – but greatly distanced from – its king. And now it is finally here! Louis XIV: The Real King of Versailles was well worth the wait. It is clear to anyone who reads this marvelous biography that the author is fascinated by her subject. Her story of Louis’ life and career is analysed in every detail, from his relationships with his family, lovers and ministers, to his love for his people and deep sense of duty. Written in an easily accessible, conversational style, the book is a pleasure to read and devour. The research is impeccable, giving the reader the impression of being a fly on the wall, watching Louis develop and grow through every period of his life. This is no whitewash of Louis’ life and career; Josephine Wilkinson doesn’t shy away from criticising the king of France when he deserves it. She delves into every aspect of Louis’ life; his family, mistresses and a work ethic that will put most people to shame. An astute politician, adept strategist, the author demonstrates that Louis saw himself as a servant of the nation. On the eve of his coronation, Louis attended vespers at the Cathedral of Notre-Dame de Reims. After the service, he presented a silver-gilt chef reliquaire of Saint Rémi to the cathedral. This was a reliquary in the shape of a human head, designed to hold the skull and facial bones of the saint. Louis had it engraved with his own image on one side and a Latin inscription commemorating the event of his coronation on the other. The king then made his confession before retiring for the night. If you are a fan of the BBC tv series, Versailles, you will love this book. It tells the real history of the show, giving you a wonderful insight into the lives of, not only, Louis himself, but also of Philippe, Liselotte and Colbert. The glamour of Versailles contrasts with the various intrigues and rumours which surround the court, the Affair of the Poisons, the downfall of Fouquet and the wonderful D’Artagnan all get their stories told in an entertaining and engaging manner. Louis’s foreign and domestic policies, his relationships with his fellow monarchs, his nobility and ministers, are analysed and dissected in this expertly executed and thorough study of the Sun King. The language is wonderful, drawing you back into the world of the seventeenth century. Josephine Wilkinson ably demonstrates how Louis took control of his life and career, how he created the court at Versailles to make the monarch the centre of administration, court life, and the sun around which the nobles of France would orbit. It is clear that the author has a remarkably thorough understanding of the histories of Louis XIII and XIV, and the development of the monarchy in France. She uses this background information admirably to demonstrate how Louis develops his own style of ruling, and the subjugation of the nobility to his rule, thus creating the most glamorous court in Europe; Versailles. Once in a while you get to read a book that you have been looking forward to for a long, long time, and that lives up to all your expectations. Josephine Wilkinson’s biography is just such a book. This is a wonderful study of Louis as both a man and a king, examining every aspect of his life, the public and the private. Louis XIV: The Real King of Versailles feels like pure indulgence when you are reading it. It is a sheer pleasure to read and devour. The impeccable research and wonderful writing style may lead you to forget that you are learning as you are reading. I cannot recommend it highly enough. Louis XIV: The Real King of Versaillesis available in the UK from Amberley Publishing and Amazon. It is also available in the US from Amazon and worldwide from Book Depository. Josephine Wilkinson is an author and historian. She received a First from the University of Newcastle where she also read for her PhD. She has received British Academy research funding and has been scholar-in-residence at St Deiniol’s Library, Britain’s only residential library founded by the great Victorian statesman, William Gladstone She now lives in York, Richard III’s favourite city. She is the author of The Princes in the Tower, Anne Boleyn, Mary Boleyn, and Richard III (all published by Amberly), and Katherine Howard (John Murray). My favourite book of all time has to be The Three Musketeers by Alexandre Dumas. Nothing else comes close to this amazing story. It is full of everything; friendship, intrigue, betrayal, swashbuckling adventure and a doomed love story. The central character is D’Artagnan; he does not become a Musketeer until the very end, but he is the hero, his courage, skill and intelligence are unsurpassed. But did you know d’Artagnan was real and so were the Regiment of Musketeers? 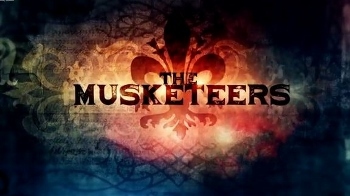 The Regiment of Musketeers were formed in France in 1622, as part of King Louis XIII’s personal bodyguard. Originally a compliment of 100 men, the regiment was made up of gentlemen and members of the nobility who were also proven soldiers; a candidate had to have served in the regular army before being considered for enrolment in the Musketeers. The Musketeers were a mounted regiment, armed with swords and muskets. The 1st and 2nd companies were distinguished by the colour of their horses; grey for the 1st Company of Musketeers and black for the 2nd. Their captain was, in fact, the king; however, their everyday command was left to a captain-lieutenant, with a sub-lieutenant, an ensign and a cornet as junior officers. Their uniform comprised a blue, sleeveless, tunic with a cross of white velvet on the back and front, which was worn over a scarlet coat. One thing that does hold true in the Dumas novels, is the Musketeers rivalry with the Cardinal’s Guard. Formed by Cardinal Richelieu for his own protection, the Guard and Musketeers kept up an ‘unhealthy’ rivalry, and competition was fierce between France’s 2 elite regiments. The Musketeer captain-lieutenant was a Captain Troisvilles (Tréville); while other members of the regiment included Armand de Sillègue d’Athos d’Autevielle (Athos), Isaac de Porteau (Porthos) and Henri d’Aramitz (Aramis). Of course, the most famous Musketeer of all is d’Artagnan or, to give him his full name, Charles Ogier de Batz de Castelmore, sieur d’Artagnan. 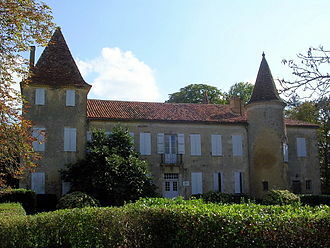 D’Artagnan was born around 1613/15 in the château of Castelmore in Lupiac in Gascony. 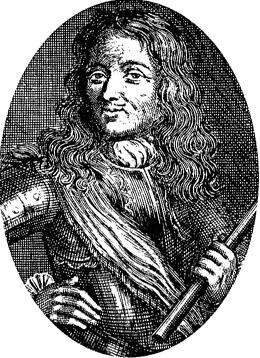 His father was Bertrand de Batz, seigneur de la Plaigne, while his mother was Françoise de Montesquiou, daughter of Jean de Montesquiou, seigneur d’Artagnan; and from whom the hero took his nom de guerre. D’Artagnan was one of 7 children with 3 brothers and 3 sisters. Paula and Jean, who became captain of the guards, were older, whilst Arnaud was younger and became an abbot. His 3 sisters, Claude, Henrye and Jeanne, all made good marriages. No one could join the Musketeers without having proved themselves in the regular regiments. D’Artagnan joined the guards in the mid-1630s and served under Captain des Essarts. The regiment saw much action in the early 1640s, taking part in sieges at Arras, Aire-sur-la-Lys, la Bassée and Bapaume in 1640-41 and Collioure and Perpignan in 1642. Whether or not d’Artagnan was personally involved is unclear, but it is likely he took part in some – if not all – of these sieges. D’Artagnan managed to find himself a great patron, in the form of Cardinal Mazarin, Richelieu’s protégé and successor as First Minister of France. With the death of Louis XIII, in 1643, Mazarin was also regent for the new king, Louis XIV, who was only 5-years-old at his accession. 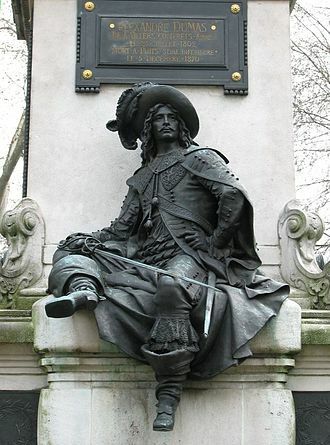 With Mazarin’s patronage, aged about 30, d’Artagnan joined the Musketeers in 1644. Unfortunately for d’Artagnan, the Musketeers were disbanded only 2 years later, in 1646. D’Artagnan, however, continued in the service of Cardinal Mazarin. He was active during the Fronde, the French civil wars that marred Louis XIV’s minority and gave the young king an abiding distaste for Paris. D’Artagnan carried out various missions and acted as a go-between for the Cardinal and his allies, when Mazarin was exiled from France in 1651. D’Artagnan was ever in the thick of the fighting and narrowly escaped being killed, in 1654, at Stenay, while under the command of Turenne. He fought in sieges at Lancrecies and Saint-Ghislaine and, aged about 40, earned himself promotion, becoming captain of the Guards. When the Musketeers were reinstated, in 1657, d’Artagnan went ‘home’ and the following year he became sub-lieutenant, replacing Isaac de Baas. With Philippe-Julien de Mancini, duc de Nevers and Mazarin’s nephew, in the post of captain-lieutenant, the day-to-day command fell to d’Artagnan. Although Alexandre Dumas’ hero stayed resolutely single, after the death of Constance, his true love, in reality d’Artagnan married, in 1659, Charlotte-Anne de Chanlecy, baronne de Sainte-Croix. They had 2 sons, born in 1660 and 1661 and both named Louis – after their godfathers, Louis XIV and his son Louis, the Dauphin. The marriage did not last long and the couple officially separated in 1665, possibly due to d’Artagnan’s long absences on duty. The last few years of his marriage coincided with d’Artagnan’s duty as gaoler to a high-profile political prisoner; Louis XIV’s former Superintendant of Finances, Nicholas Foucquet. D’Artagnan had been ordered to arrest Foucquet in September 1661, on charges of embezzlement and High Treason. The prosecution process was to take 3 years, with Foucquet becoming the ‘fall guy’ for decades of financial mismanagement and corruption; although most believed his real crime was to be more regal than the king himself. D’Artagnan’s duty as gaoler was only finally discharged in January 1665, when Foucquet was delivered to the prison-fortress of Pignerol, in the Italian Alps. An initial sentence of banishment had been considered too lenient, and so Louis had changed it to one of perpetual imprisonment and solitary confinement, although he was allowed a valet. Foucquet died 15 years later. Some sources suggest that it was Foucquet’s valet, who had served the disgraced minister in prison, who became known as the Man in the Iron Mask, the prisoner in the Bastille, and the inspiration for the character in Dumas’ concluding Musketeer novel, The Vicomte de Bragelonne (Ten Year Later). Another d’Artagnan link to the Iron Mask story is Saint-Mars, d’Artagnan’s friend and second-in-command during the Foucquet affair, and eventual Governor of the Bastille – he was, in fact, still governor there at the time of the Man in the Iron Mask’s death. In 1672 d’Artagnan was appointed Governor of Lille, replacing the Mareschal d’Humières. However, by 1673, he was back in his rightful place, at the head of his regiment of Musketeers in the Dutch Wars. In May, 1673, Louis XIV had marched on Maastricht at the head of his troops, several thousand strong. By 10 June the town was surrounded, not only by French forces, but also their English allies, and the siege began in earnest. The artillery bombardment began on 19th June and lasted for 5 days and was followed by an assault which included 4 battalions, 8 squadrons of the King’s Horse, 300 Grenadiers and the 1st company of the Musketeers, led by d’Artagnan. D’Artagnan’s company attacked a demi-lune (half-moon) fortification, which protected the Tongres Gate. Within half an hour of fierce fighting, d’Artagnan’s men had control of the demi-lune, a flag of the fleur-de-lis planted firmly on the parapet. The Duke of Monmouth, on e of the English commanders, then decided to cross the open ground that separated the demi-lune from the Tongres Gate. It is likely that d’Artagnan, a more experienced soldier, advised against such foolhardy action, but once Monmouth led the charge, d’Artagnan could do nothing but follow, leading his Musketeers into the foray. 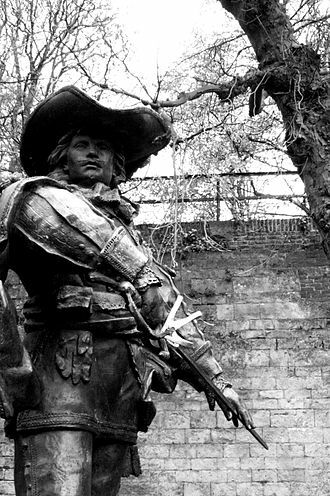 Thanks to Cindy Barris-Speke who informed via Facebook that d’Artagnan is buried in Maastricht. Sources: The Man Behind the Iron Mask by John Noone; The Death of D’Artagnan (article) Dr Josephine Wilkinson, Facebook page; jospha-josephine-wilkinson.blogspot.co.uk; sirclisto.com; Forgotten History, Unbelilevable Moments from the Past by Jem Duducu; awesomestories.com. 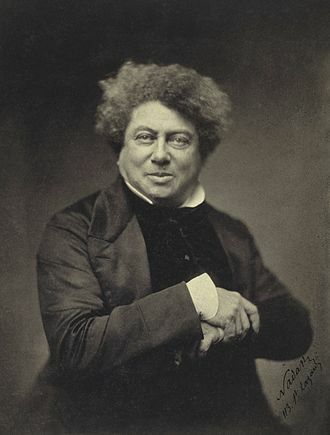 By Alexandre Dumas: The Three Musketeers (Les Trois Mousquetaires); Twenty Years After (Vingt Ans Apres); The Vicomte of Bragelonne (Le Vicomte de Bragelonne).